Keeping wooden bowls, cutting boards, wooden spoons, any unfinished wooden thing (including my wooden kitchen tabletop) beautiful, is part of the care and feeding of a warm and glowy kitchen. And it is so easy to do! This kitchen wood preserver is mineral oil based so it won't go rancid, and FDA approved food grade. 4 oz. bottle. 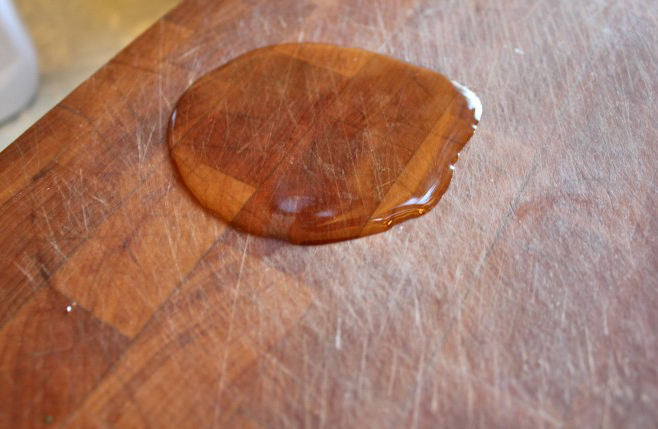 Visit my website: http://www.susanbranch.com/how-to-care-for-wooden-cutting-boards-wooden-spoons-using-mineral-oil/ for my step-by-step directions!